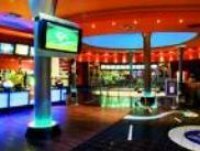 DH Complete Cleaning Contractors are experts in meeting the needs in a vast leisure industry, from the flexibility and responsiveness expected in sports and leisure facilities, to the round the clock demands of hotels, clubs and cinemas. Due to the culture of the modern day leisure industry, these facilities have to be spotless each and every day. What’s more, the work has to be carried out meticulously because the result is always on view to the paying public. 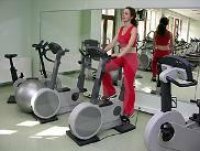 Creating a good impression for you visitors is a priority for every leisure facility. Similarly, the health, safety and welfare of your patrons and staff are of paramount importance. We at DH Complete Cleaning Contractors use carefully developed procedures and use appropriate equipment/products to ensure the highest levels of cleanliness, hygiene and safety at all times. For more information on our competitive prices, call DH Complete Cleaning today for a free no obligation quote on 01617 635 666 or 07974 438 761.